A S60 3rd Edition or 5th Edition device. A freeware called ‘Free Signer’ which you can download here. Transfer the .cer and the .key file to your phone. 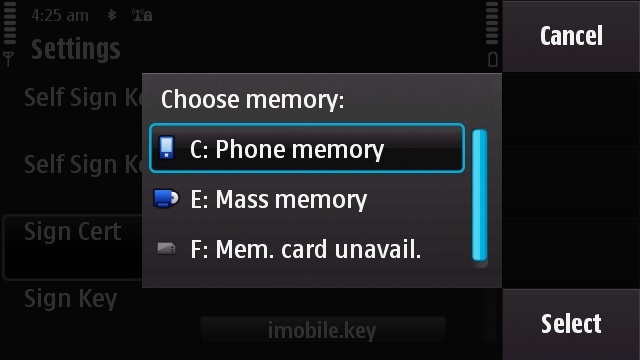 Install the application on the phone memory or the memory card/inbuilt storage. 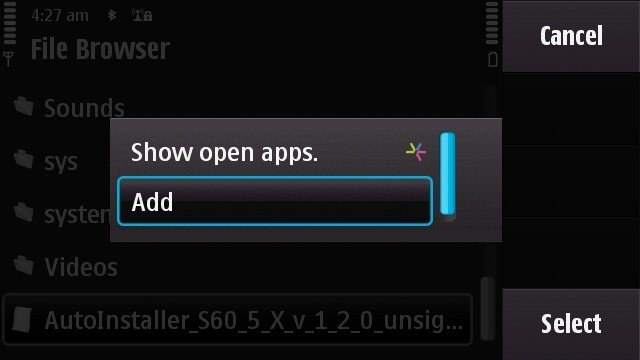 Open ‘Free Signer‘, select options and then Settings. Come to the fourth option, ‘Sign Cert’ and click on it, then navigate to where you have placed the .cer file on your phone and select it. Do the same for the .key file. You should now see a screen like the following one. Next simply hit ‘Back’. You are now ready to sign unsigned applications on the phone itself. Please note that you will need to do the above only once. In order to sign a unsigned file present on the phone, click on ‘Add Task’ and navigate to where the application is located. 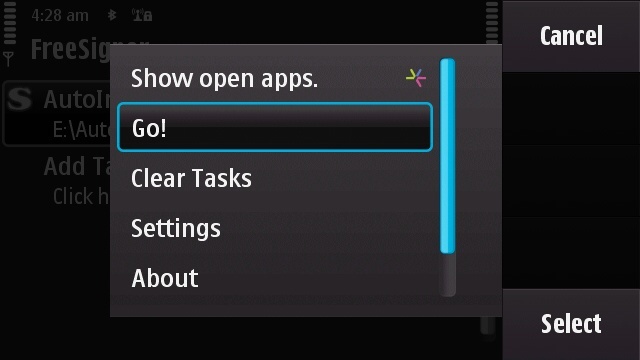 Once you reach the file, hit ‘Options’ and select ‘Add’. 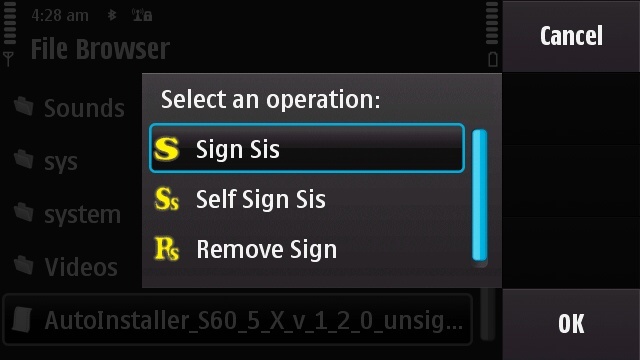 You will then be presented with the following screen, simply select ‘Sign Sis’ from the options. The file will show up, waiting to be signed. To sign it, simply hit ‘Options’ and then ‘Go!’. That’s it, your unsigned application will now be signed without you needing to use a computer. You will be able to find the signed file in the same location as the original application. A ‘_signed.sisx’ extension would have been added so that you can easily identify the file you can now install. To sign another application you will only need to follow the steps under ‘Signing Applications’ and not have to do the ‘Initial Setup’ again.